If healthcare reform does pass, it’s hard not to see how this represents anything but a colossal failure of leadership on the part of the GOP. But come on, here you have an unpopular, poorly-articulated bill, a President whose poll numbers are weak, and hundreds of nervous Democrats, not to mention a political earthquake in Massachusetts, and you still can’t block it? What is that? It’s obvious that after Brown was elected, the GOP leadership went to sleep, figuring they’d sit on the ball and ride to victory in November. To be fair, everyone thought that was how it was going to play out — everyone but Obama and Rahmbo, it would seem, who bided their time, waited for some favourable developments (like health insurers announcing huge rate hikes) and then jumped into action, taking advantage of the growing realisation that there was nothing to lose anymore by voting yes. In the next few weeks healthcare will pass, jobs will start growing again, and the President’s poll numbers will rebound, and suddenly a GOP victory in November will look a lot less likely. 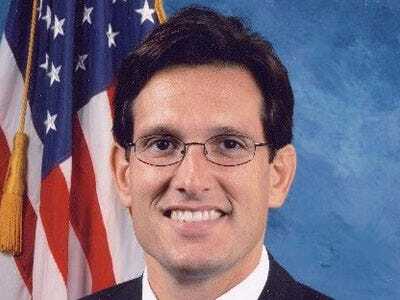 Reps. Boehner and Cantor (pictured) will be forced onto the bench.